What Makes Non-League Football Great? A defeat that can only be put down to poor finishing, and some desperate defending by the Welfare. The game started with Vale under the cosh and the defence was ripped apart within 2 minutes by a flowing Welfare move that resulted in Jack Wright slotting the ball home with a well placed shot. The Vale defence was having a torrid time for the first 15 minutes, but gradually started to get a grip in the game and had a few chances of equalising in the later part of the half. With half time approaching the Vale were beginning to dominate the game without the cutting edge to get the equaliser. The second half was essentially all Vale with some sporadic attacks from Welfare. The pressure eventually paid off in the 78 minute when substitute Liall Smith curled in the equaliser from the edge of the box. Vale were now in the ascendancy and chasing the winner with a few chances going a begging. In the 90 minute a looping header from Jay Stevens landed on the top of the net. However, with Vale forcing corner after corner and the game into injury time, Welfare broke up the park with Kyle Mitchell outstripping the Vale defence where he was tripped by Craig McBride about 20 yards from the goal in a central position. McBride being the last man was sent off. From the resultant free kick Connor MacGregor placed the ball in the top right hand corner. The least the Vale deserved from this game was one point and with more clinical finishing probably two. Chris Anderson announced today that Brad Raiker has signed on loan. Brad who can play at full back and midfield is no stranger to the Vale as he was on loan for a part of last season. Brad will be a welcomed addition to the squad and our best wishes are with him. The next Lowland League game for the Vale will be this Saturday 30 September at Ferguson Park, Rosewell. With both teams in the bottom half of the league, this will be regarded as a six pointer. Hopefully we will see a few Vale fans there. The Vale’s youngest fan, Kian ready and prepared with his new Vale Supporters Scarf before setting off to the Scottish Cup Tie with Spartans. The SFA have been promoting the Non League day which is on the 7th October. This is the international weekend where the majority of professional teams will not be playing, and its also the day that the Vale have a local derby with Selkirk FC at Victoria Park. The SFA initiative is for fans to meet the players, management and committee and get to know what is involved in Non League football and hopefully enjoy the game, with the hope that they will return. The Vale are prepared not only on Non League day, but before any home games to show parents/kids around the facilities prior to kick off (around 1 1/2 hours before if they want to see the dressing rooms). It has been noted that in recent games that the number of kids attending has increased, and the club would love to see more like Kian wearing the club scarf. The scarf will be on sale at the park and cost £5.00. With Vale still having a serious injury list Chris Anderson (the Manager) was forced to play himself, plus we had only four players on the substitute bench. With a good crowd in attendance the match started with Spartans having the upper hand for the opening stages and could have been ahead if their finishing had been better. 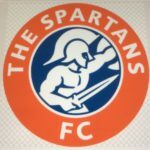 However, Vale started to get a foot hold in the game and were starting to thwart the Spartan attacks and managing to put some pressure on the host’s defence. The deadlock was broken by Spartans in the 28 minutes when a quick break down the left resulted in a cross by Maxwell being headed home by Dishington in the six yard box. 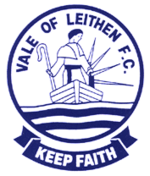 Vale responded well and only two saves from Stobie prevented an equaliser, especially a pile driver from Kerr Allan that he managed to push over the bar. The second half started with Vale in the ascendancy and their best spell in the match. With Vale chasing the equaliser a Spartan’s attack in 63 minutes result in a scramble in the goal mouth where Ross Gilpin, despite a few valiant stoppages, was eventually beaten by a tap in from Dishington. The game was finished off in the 85 minute when after a disputed free kick on the edge of the Vale box, the subsequent free kick was hammered home by Stevenson. If the performance and effort shown tonight can be reproduced in the coming weeks, and with a more settled team we should be able to start climbing the league table. The chopping and changing of the team due to the injury list and player unavailability has certainly affected our overall performance. 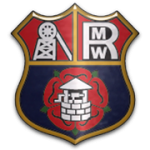 No failures tonight in the team, a real united effort, with a special mention to Sean Stewart who filled in at full back and put on a good show against our loanee from season Blair Atkinson (our Managers’ Player of the Year). Also, to Kerr Allan and Liall Smith, both new to the team this season, but your best game so far.